Top-seeded Mira Costa defeated visiting No. 4 Valencia 8-3 Tuesday night in the semifinals of the US Lacrosse Boys Postseason Invitational tournament. The Mustangs advance to Thursday’s title game, where they will play host to No. 2 seed San Marcos, which beat Culver City 11-4 on Tuesday. 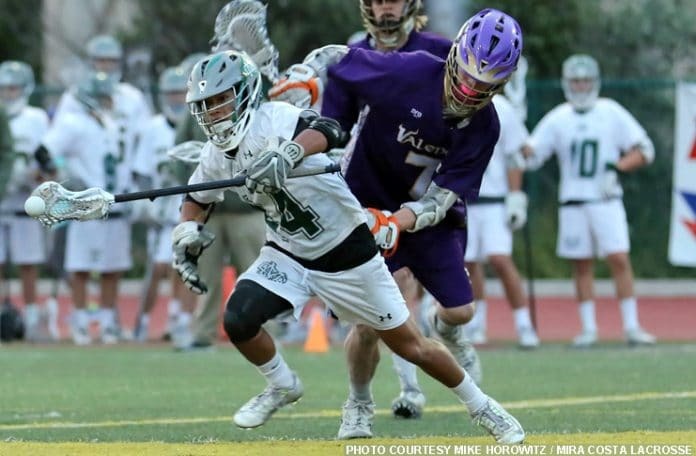 Mira Costa (13-6) narrowly missed a spot in the US Lacrosse Southern Section North championship tournament, largely due to a late-season loss at West Ranch during spring break, when the Mustangs were missing a number of key regulars. Seeded No. 1 in the Invitational tournament, they are making up for lost time. After a 16-5 first-round win over Calabasas, Costa beat the Vikings (8-9), who had advanced with a 14-12 first-round win at home over St. John Bosco. Defender Adam Enomoto, middie JJ Packer and goalie Jonas Wahlsted helped hold Valencia to three goals. 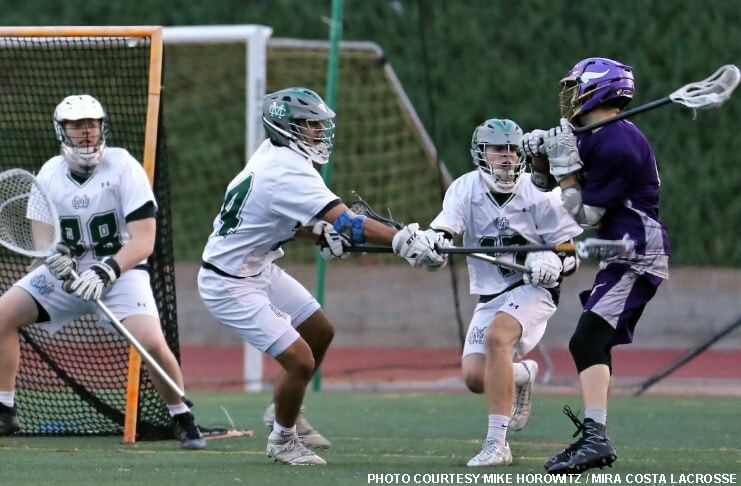 Tuesday, junior attack Macallan Laver led the Mustangs with three goals, and junior Zach Horowitz, sophomore Josh Maruyama, senior JJ Packer, junior Miles Choromanski and sophomore Jacob Fernandez each scored one.